Aid customers and in-house employees with complex technical tasks. Utilize digital literacy and technical knowledge. Recognize and interpret common error messages and customer complaints. Solve basic and complex technical issues. Ability to responsibly follow protocols created to ensure system upkeep and robustness. Effective technical support is a crucial operational asset for companies, both internally and in the customer-facing services they provide. Today’s technical support role also requires the ability to be adaptable and flexible enough to provide support over many different channels, including chat, email, phone, and in-person, and for a variety of situations. The breadth of a technical support agent’s knowledge can be crucial both in keeping your office running smoothly and in rapidly identifying the root cause of your customers’ issues. Adapt to the methodologies and complexities of new and specific technologies. Demonstrate a technical aptitude and attention to detail. Identify an invalid IP address. 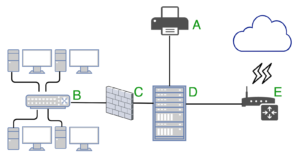 Understand the roles of key network components. Connect cables to the proper devices. Use this technical support test to quickly and easily screen entry-level or experienced candidates for technical support roles, including desktop support or other applicable positions. Which server was this message generated from? 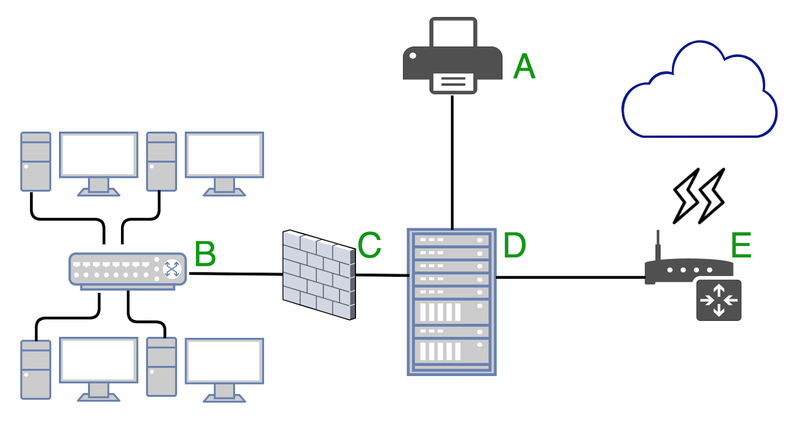 Which letter identifies the firewall in the diagram below? The Technical Support Skills module content was developed by the Indeed Assessment Science Team, with expertise in Industrial/Organizational Psychology, Instructional Design, Education, and Graphic Design. In addition, team members worked in collaboration with subject matter experts (SMEs). Indeed’s SMEs are required to demonstrate experience performing at a high level, supervisory experience, or responsibility for defining requirements for those jobs that require technical support skills.